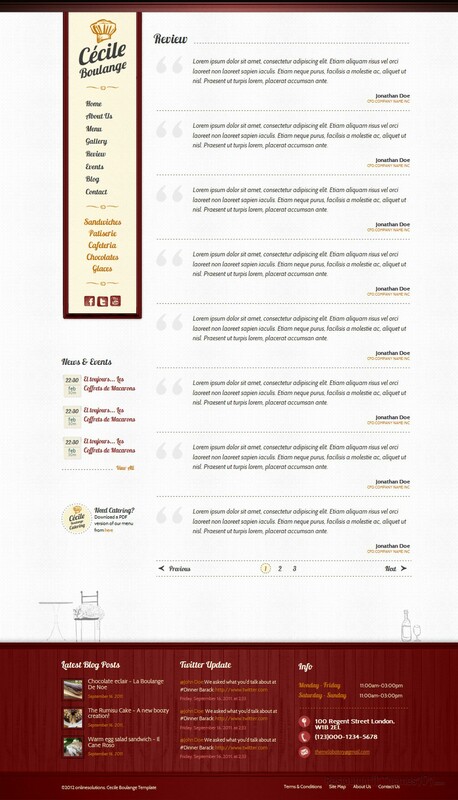 Cecile Boulange is a restaurant HTML template created by Theme Laboratory, and featured at ThemeForest. 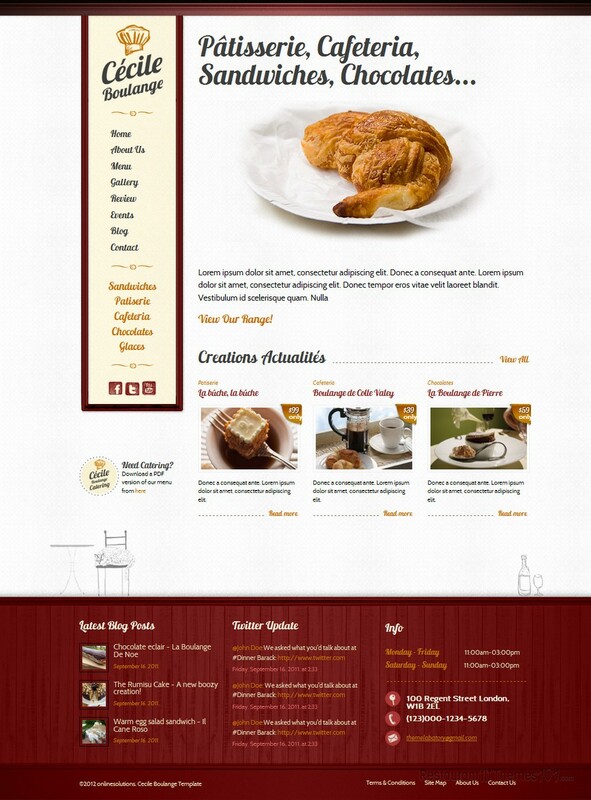 This theme can also be used as a HTML coffee shop template, as it is very adjustable. The layout looks really beautiful, with nice colors and textures. You will be able to choose out of 5 color styles: red, green, brown, orange and turquoise. The background has a cute pattern and it will fit a restaurant website perfectly, no matter which color style you choose. The homepage features a slider where you can add photos of your delicacies or photos of your cozy restaurant atmosphere, or anything else of importance you would like to show to your visitors. The slider is attention grabbing and you can be sure any photo you add to it will be the highlight of your website. 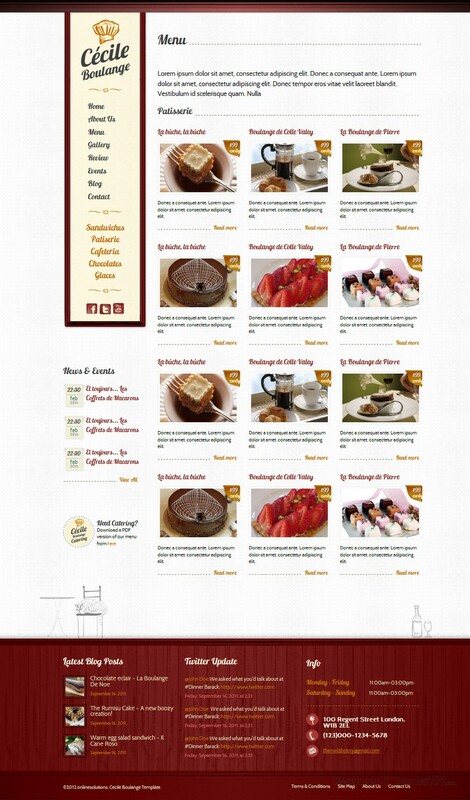 You will be able to add your featured items to your homepage and present them to your readers in a thumbnail form. 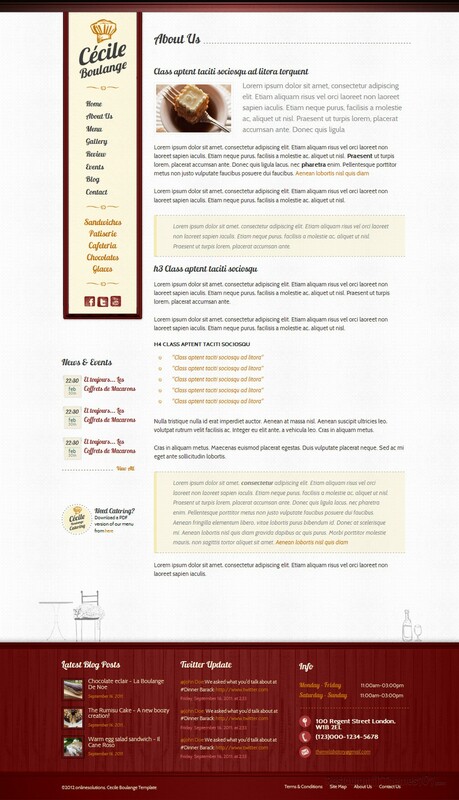 After clicking the thumbnail of your featured dish, your visitor will be taken to a page where they can read all about it. This HTML template also features events, which allows you to create a page where you can announce all upcoming events, and even write all about the events in detail. 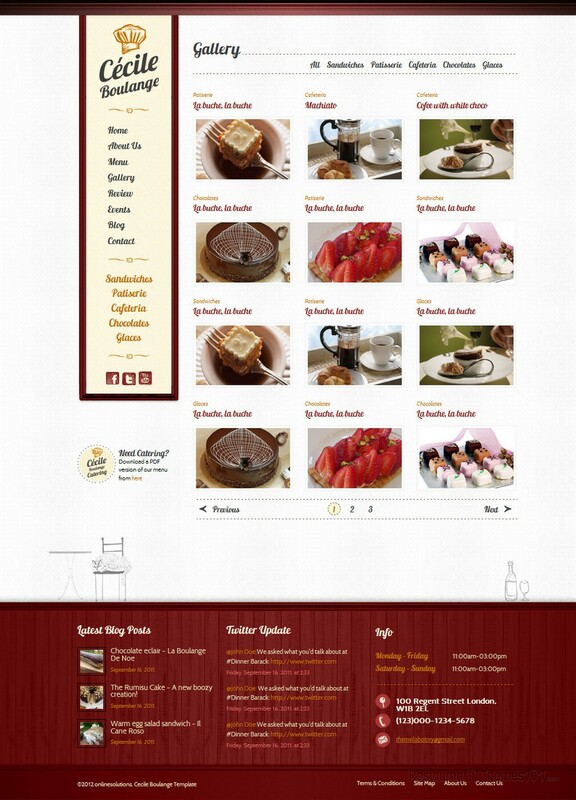 There are multiple menu pages featured, so you can easily create a categorized menu. 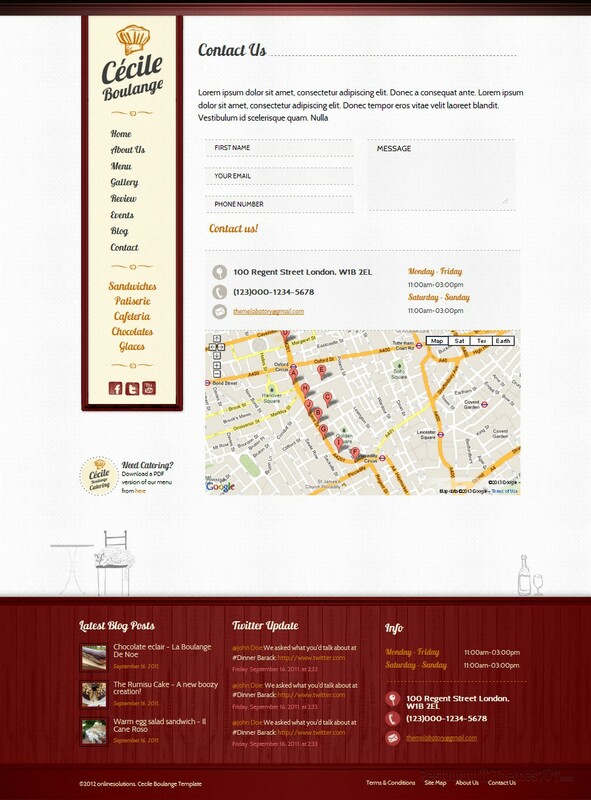 The menu can be downloaded as PDF in case any of your visitors need catering. The blog section will allow you to post as much as you want, and you will be able to create a gallery where you can post as many photos as you need to. A simple contact form is added to the template so your visitors can send you a message easily, and Google Maps is featured, with exact directions to your restaurant. The template is very easy to install and run, and it comes with a nice amount of documentation.